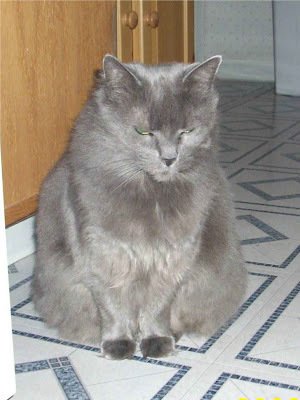 When we lost Sadie, many of you out there suggested adopting another cat. We hesitated with that decision as there will never be another Sadie, but we did see the value of saving another kitty from a bad fate. That Saturday, Joey and I stopped by the local PetCo to pick up some dog biscuits for Jesse. That was where we met Spongy. Spongy was born last June and got separated from her Mom as a consequence of Hurricane Irene. Spongy was found as a kitten, wandering around Long Beach Island, NJ by a man selling ice cream - Sponge Bob ice cream bars, hence her name. The man who told us about Spongy was affiliated with Cattitude, NJ, a pet adoption organization that rescues cats and dogs. He said that Spongy was in a foster home longer than most kittens, as people seemed to be hesitant about giving a black cat a home. I guess there are a lot of superstitious folks out there. Well, that sealed the deal for me! Spongy, who is now seven months old, officially became a member of the W2LJ household this past Thursday. After a day of being scared and hiding behind furniture or down in the basement, Spongy found her courage and now walks around the house like she owns it. She's not even scared of Jesse anymore. 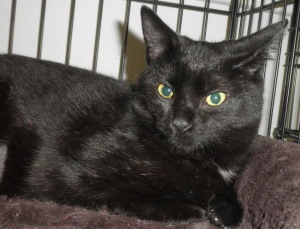 She is a sweetheart and is quite the purr machine who loves to be petted and scratched behind her ears. And does she love chasing the red dot from a laser pointer! Thanks to all of you out there who sent notes and comments during a bad time - they are appreciated more than you will ever know. Our home feels just a little bit more "whole" now, and although it will never be the same without Sadie, I think she would have approved of us saving one of her feline sisters from being homeless or worse. is available in a new, free online e-book by Adrian Weiss, W0RSP. It is entitled, The Five-Watt QRP Movement in the US, 1968-1981, and is available by clicking on the title. The hyperlink will take you right where you need to go. I have already downloaded it and will send it to my Kindle, so that I can read it without being tied to the computer. The history of QRP and how 5 Watts came to be the "definition" of QRP is intriguing to me. My very first membership certificate explained that QRP was considered to be 100 Watts or less. 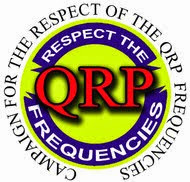 As a Novice, pushing out 75 Watts max with my Drake 2-NT was a natural fit, so I joined QRP-ARCI way back when in 1979. I never got involved in the 100 Watt vs. 5 Watt debate; but had no problem with the final decision. Operating with low power always fascinated me and I had lots of fun and good times with it, throughout my earlier Ham career. Going strictly QRP back in 2003 is something I have seldom regretted. I'd be lying if I told you there weren't times that I wished I had 100 Watts in order to help bust through a pileup in order to snag a new DX entity. But limiting your self to lower power helps to reinforce discipline and knowing your limits and capabilities. Good life lessons. It's like going from the ridiculous to the sublime. Tonight a real treat was in store. My CQ on 40 Meters (yes, 40 Meters was quiet tonight, yay!) was answered by K4BXN, Crit who hails from Hendersonville, NC . Crit and I have QSO'ed a few times before; and as always, listening to his fist is pure pleasure. Crit was using an old bug with his K3, and if he hadn't mentioned it, you would have thought for sure that he was using an electronic keyer and paddles. Perfect spacing and perfect sending - period. Music to my ears. And sending Morse like that with a bug is no mean feat. From my own experience, I know it's so easy to develop a swing. Not that a swing is necessarily a bad thing - but it can be if you're not careful. It takes a lot of practice and a lot of skill to be as good as K4BXN. But boy, is it a treat to listen to! Listening on 20 Meters, right now, there's a DX station calling CQ, and all I can say is "Wow!". He's way loud and should be at the bottom of a pile up. Why not? Because he's sending way too fast with no spacing whatsoever. I was finally able to make out the call; but he was getting very few takers. Once he switched over to the memory keyer (which had some spacing in there, which made it legible), I can see that he's not only getting more takers, but that he has also been spotted on the DX cluster. You know, if you want to be a speed demon, that's one thing. But spacing is so important. There's no point in sending so fast that you send gibberish. Even if there are no actual errors, no one is going to want to work you if they can't understand you. So any time advantage that you feel you're gaining is probably lost by either A) repeats or B) lost opportunities due to no one wanting to work a fist like that. You know, I'm not not an expert, by any means. But I do know bad Morse when I hear it; and that was bad. A shame really, because it could mean the difference between a lot of contacts and just a few. You can meet up with a whole bunch of buds and combine to form one of those multi-multi teams. Or you can go solo and operate from your shack in a variety of categories. You can even go and BE the DX, like some friends that I know - Bob N4BP and John K4BAI come to mind. OR, you can take a portable rig, a hunk o' wire, a battery and a tuner and head out to the great outdoors to enjoy some sunshine and some plain ol' fashioned fun. Any ideas who that might be, showing us the way? Sure enough - Jim W1PID - enjoying the DX Contest from the banks of the Winnipesaukee River. Since 0000 UTC Saturday morning (Friday night here) the bands were absolutely humming. Hard to find spectrum that wasn't occupied by someone calling 'CQ TEST" or with two stations engaging in an exchange. It's now 0000 UTC Monday morning here, and the bands are eerily quiet. The weekend was like all the others around here - super busy. I did not get to spend nearly as much time on the air as I wanted to; but I did get a couple of hours last night and then a couple more this afternoon. I added quite a few new countries to my Diamond DXCC tally. Not as many as I would have liked; but I should be well on my way now. The bands seemed to be in good shape and I even heard some activity on 10 Meters and joined in the fun there. My plan of action was to "cherry pick" and work the louder stations I was hearing, thinking that would give my QRP: signal the best chance of being heard. I didn't stick with that strategy, however and ended up working quite a few weak ones, too. It pretty much turned out that I was able to work anyone that I called. I even got a new one that I have never worked before - QRP or QRO. I worked ZD8Z on Ascension Island for the first time ever. Unfortunately, the only station that wasn't able to pick me out of the din was OA4SS down in Peru. I tried for quite a while, but in the end was not successful. I have tomorrow off for the long President's Day weekend. I am so tired right now that I am going to turn in early and I will get my QSO for the 20th, tomorrow. 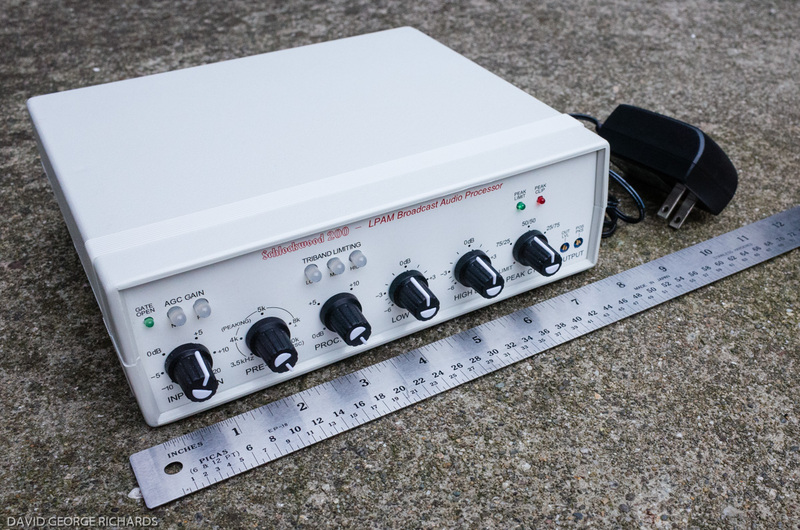 The Four State QRP Group is pleased to announce a new kit, the Stand Alone VXO (SAVXO) designed by Jim Kortge, K8IQY. The very complete manual, specifications, and ordering information can be found here http://www.wa0itp.com/savxo.html PayPal is accepted. It is shipped with 40M components but can easily be used on any HF band. This is a Super VXO design which has it's origins in the Super VXO of the SS-40 receiver. It is crystal controlled yet combines frequency agility with smooth stable tuning, and NO perceptible drift - even from a cold start. It is ideal for driving your NS-40 or other crystal controlled transmitter or receiver, and is also a great starting point for a transmitter strip of your own design. As kitted the SAVXO will put out over 250mW by itself, plenty of power to operate QRPp if desired. I ordered mine! And once OzarkCon 2012 is over, I'll be ordering a Magic Box kit, too. I went downstairs and flipped the K2 on and tuned around 40 Meters - WOW !!!!!! After a long and full day of work, my brain is simply not ready to wrap around 40 WPM code. I worked HG3R who was cruising at about 35 WPM and called it a night. Tomorrow, after a good night's sleep and after the opening hours pandemonium is over, I will be ready to jump into the fray. Also, during the daylight hours, stations will be spread out more as other bands open. Seems like right now, everyone is crammed into 40 and 80 Meters. I've been at this Morse game for over 30 years now; and I really admire these guys who can while away at 40 - 50 WPM. I would love to be able to attain that kind of speed; but right now, it sounds more like a buzz saw than Morse Code. God bless them, you have to admire and respect that kind of ability. This has been a bad week for me as far as the QRP Fox hunts go. On Tuesday night, I was only able to hear both Foxes at ESP levels. I "knew" where they were; but they were much too weak to even bother calling - no way they would have heard me. Tonight is a rare QRN free night on 40 Meters, but alas, same problem as Tuesday night. I can't hear the Foxes for anything. So instead, I headed down the lower part of the band and was picking off Caribbean stations that are flexing their CW muscles for this weekend's big DX contest. I got Curacao, and Bonaire and Aruba among others. And I even got a "brandy-new" entity for me via QRP. I worked PZ5RO in Suriname on 40 Meters. I heard him call "QRL?" and he gave out his call and I nabbed him on my first shot. Sweet! 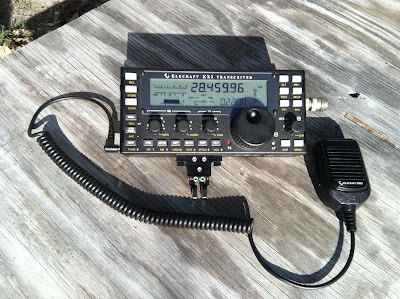 If you're new to QRP and you're hesitant about jumping into this contest, don't be. Have no fear, jump in and have fun. But (there's always a "but", isn't there?) you have to be sensible about it. For the first half or so of the contest, don't get frustrated if you don't get the results that you want. Remember at the beginning, you will be competing with a ton of QRO stations. As a beginner, you might want to stay with "hunting and pouncing" and working the loudest stations. If you try and try; but can't get an answer within a reasonable amount of time - move on. Work what you can. As Kenny Rogers sang, "You have to know when to hold 'em, and when to fold 'em". Contests like this will really help you learn the capabilities and strong points of your station. 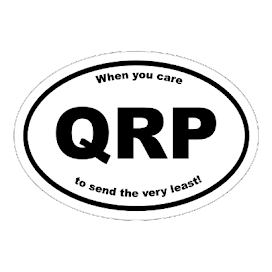 QRPers stand a better chance during the last half of the contest, if my experience means anything. Towards the end, stations that are still hungry for points seem to hear sharper as they eke out those weaker signals in order to inflate their point totals. On Sunday afternoon, I would try working just about anyone that you can hear. At this point, even the weaker stations without super antenna arrays seem to respond to QRPers. Don't be surprised when you find out you can work a lot of DX with low power and modest antennas. A few years ago, as a personal experiment, I decided to get on Saturday night and work the loudest DX stations that I was hearing, while the K2 was turned down to 1 Watt. I think I earned the "1000 Mile per Watt" award about thirty times over that evening - and that was when we were in the middle of the sunspot doldrums. And speaking of the "1000 Mile per Watt" award - you should be able to earn that this weekend without breaking a sweat. And if you're working on your DXCC - just starting, in the middle, or near the finish line, this is always a great event for that. Also keep in mind Diamond DXCC for this year. I am hoping to inflate my country total big time towards that award. The contest is also a good way to increase your code speed a bit. Don't get frustrated with the guys who seem to be sending at 50 WPM,that sound like a buzz saw. Pay them no attention - move on. But don't fall into the trap of only working slower speed guys either. Work the ones who are a bit faster than you're comfortable with. It may take you eight or nine times to get their call correct; but what they hey - it's not like you're in this to take the whole shebang, right? Bottom line is to have fun - be a "Giver of Points", relax and have a good time. On quite a different; but sad note ....... I heard on the radio, on the way home from work today, that Gary Carter passed away, losing his battle with cancerous brain tumors. Gary "Kid" Carter, along with Johnny Bench may arguably have been two of the greatest catchers the National League has ever seen. His coming to the NY Mets in 1985 was a catalyst that started a series of winning seasons that lasted until the early 90s. I had the great fortune to meet him at a baseball card show after he had retired from the game. Not only was he a great baseball player, totally worthy of his induction into the Baseball Hall of Fame, he was also a total gentleman. The world of baseball (and NY Met fans) is poorer today for Gary's passing. But I'm sure he's being more than welcomed on Heaven's All Star Team. Many friends who have been at this hobby a lot longer than I have worked some pretty famous people - King Hussein of Jordan, King Juan Carlos of Spain, Barry Goldwater. I have never worked anyone famous per se, but I did get a chance to work the Arizona DX Association last night, which is celebrating Arizona's Centennial this week. 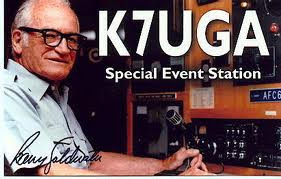 Their call is K7UGA - the same used by Senator Barry Goldwater (SK). So when I heard them on 40 Meters tonight, I jumped at the chance. It took a while for me to break the pileup; but I was successful. 5 Watts and the HF9V yielded me a response. I got the customary "599"; but they were truly a 599 here into New Jersey. One of the loudest signals on the band. I will definitely send for a QSL card, as this may be the closest I ever get to working a "famous" Ham. I am about ready to sit down and fill out the log sheet for the certificate for working K6JSS Golden Jubilee Stations. As I mentioned before, I've worked 47 of the 50. Anyway, I am looking at the WAS map that the QRP-ARCI so graciously provided along with the log sheet. And I'm noticing something I don't think I've ever really payed attention to before in all my 30+ years in the hobby. I'd bet good money that someone else noticed this before and that I'm just really slow on the uptake. We start in the North East - Call section 1. Next we come down to New York and New Jersey - Call section 2. Pennsylvania, Delaware and Maryland - the Middle Atlantic states - Call section 3. The great South East - Call section 4. Now on to the Central Southern states - Call section 5. Out West to California - Call section 6. Up to the great North West and other Western states - Call section 7. Sense the pattern? We started in the North East and we're working around the perimeter of the country (more or less) in a clockwise pattern (more or less) - in numerical order. So now, after the great North West, we move over to the Central Northern and Central states - Call section 0 ????? What happened? Why do sections 0, 9 and 8 seem to be backwards? We were working our way, nicely around the country in a nice numerical order and all of a sudden - chaos! I'm sure there's an excellent explanation. 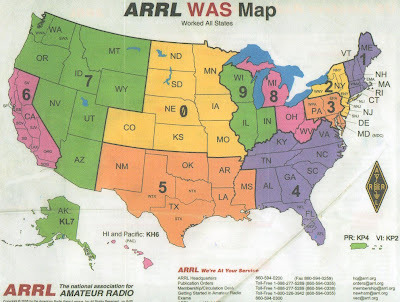 Any Amateur Radio history buffs out there that can enlighten me? Thanks to all of you here and on AmateurRadio.com who were so kind as to express condolences and kind words upon our Sadie's passing. This is going to take a while to get over - but life does go on. So ...... on an Amateur Radio note, the bands did not seem to be active at all today. For a few brief minutes this afternoon, I was able to get on and listen. I heard and worked EI4AA on 12 Meters and was surprised by the fact. Bernard was pretty weak hear - 569 or there abouts, maybe a little louder - 589 on QSB peaks, maybe? As I called him, I thought to myself, "There's no way I am going to get an answer here." But sure enough, I did and on my first call - and I received a 559 report for my efforts. And I was very happy to receive that. Then I went down to 20 Meters and worked a station in Texas who was working the SKCC Weekend Sprint. After that, I had to QRT as my daughter Cara (holding Sadie above), who is a member of the children's choir at Church, was part of a free concert this afternoon. The theme was "A Night on Broadway" and the children's choir, the adult choir, the hand bell and hand chime choirs all participated, performing various Broadway tunes. It was a very enjoyable two hour event. Today was very windy and cold - winter has come back to New Jersey with a vengeance. Yesterday, the forecast was for 1-3" of snow, but that forecast was a bust. We barely got a dusting - and please don't misunderstand - I am in no way complaining! As soon as it turns to 2/13 UTC, I am going to head downstairs to see if I can get a daily QSO or two in and then off to bed. A few hours ago, our cat Sadie passed away, peacefully in her sleep. It's never easy when a pet dies. Sadie's passing was even tougher as she was the first addition to our family after Marianne and I married back in 1998. Sadie was adopted and joined our family the very first week that we moved into our house that October. I'll never, ever forget when we met Sadie the first time. We went to a pet store and she was in a crate where she was waiting to be adopted. The lady from the store took her out of the crate and was going to hand her to me, when Sadie quite literally jumped out of her hands and into my arms. Needless to say, it was love at first sight for both of us. Until that point, I had always been a "dog person" and had never even considered having a cat. Sadie was special. She was estimated to be between 1 -2 years old at the time we adopted her. I have no idea why she was let go, but she lived a happy 13+ years with us. 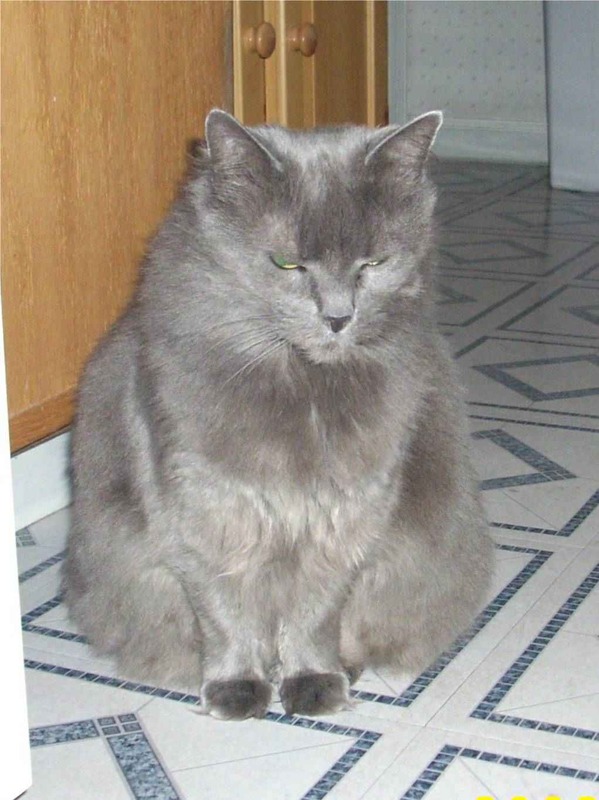 Over the past few years, she developed thyroid and liver problems. 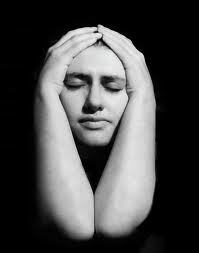 Gradually she weakened to the point where she just gave out. I love you Sadie. I am so glad that I was still able to hold you and pet you before you left us. I will miss you greatly. So I missed a day - so what! I got right back up on the horse and in the saddle via another great QSO with Jim W1PID on 80 Meters. Jim was telling me that if the weather stays warm in New Hampshire tomorrow, that he just might experiment with a kite antenna. I told him to make sure to grab lots of pictures to post! Jim has asked me how my KX3 "fever" was going. I told him it was starting to climb and the only cure would be a package from Drs. Wayne and Eric. I will patiently wait and endure, but the recently released eHam review isn't making things easier. I got the new QST "Antenna Issue" today and with interest I read the little blurb about QST going digital some time mid year 2012. While all ARRL members will continue to get a paper version, the digital version looks to have a lot of potential. Links to videos and the like will be embedded and the plan is that the digital version will be compatible/readable from not only PCs, but tablets, phones and all sorts of mobile devices. I guess it's only a matter of time before paper periodicals become the exception rather than the norm. I have downloaded and have read many books on my Kindle. That was one of the best Christmas gifts my wife ever gave me. Interestingly, I read an article on the InterWeb today where Apple might release the iPad3 on Leap Day. Supposedly the screen is so good, that it is being compared to the quality of a printed page. As much as I would like one, I can only afford one major purchase a year and the KX3 was it! On a totally different note, because of how well it works on this laptop and on my Acer netbook, I have pretty much made Google Chrome my default Web browser. It seems to be a lot quicker and responsive than Firefox. I guess it doesn't enjoy a lot of popularity, however. When I look at my blog stats and I go to the "Browser War" section, Chrome places a distant third after Internet Explorer and Firefox. Has anyone else noticed that the sunspot number has taken a dive lately? Today it was 33 and it's been a while since it was "up there". Hopefully this will be the quiet before a storm of good band conditions for the Spring and Summer. And so my everyday streak comes to an end. Yesterday was one of those days at work where you just want to dig a hole, jump in and pull the hole in after yourself. And unfortunately, due to the wonderful world of cell phones and Blackberrys, it didn't end once I got home. Needless to say, when all finally calmed down around 10:30 or so, I didn't feel like getting on the radio. All I wanted to do was go to bed. And I did. I tried raising V31JZ on 30 Meters tonight, after coming home from a slightly better day at work; but I could not bust through the pileup before the witching hour came and 0000 UTC occurred. So February 9th, 2012 goes QSOless. So, what do I do? Pick myself up, dust myself off and start anew. This is one of those years, where if I still make a QSO for every day for the rest of the year, I can still honestly claim that I made a QSO for 365 days of 2012. The other night, I tried uploading some QSOs to Log of the World. I was unsuccessful as my certificate had expired. I filed for a new one, got everything working and uploaded my latest batch of QSOs without a problem. I try to do this once a month or once every couple of weeks. Out of curiosity, I went back to the LOTW site tonight to do a little math. I have a LOTW QSL return rate of 19.8 percent. I have no idea as to whether that's good, bad or average. I went over to eQSL and did the same math - 19.27 percent - slightly lower. Frankly, that surprised me. I think we can all agree that eQSL has less "hoops" to jump through in order to get it working. I am not criticizing LOTW when I say that - I'm just pointing out what I think is fact. Although personally, I have not had any insurmountable LOTW problems, I have heard horror stories from other Hams who had, and gave up - running and screaming into the night. eQSL may not be as secure, I don't know - but it does seem easier to use. I would have thought (there goes that "conventional wisdom" again!) that being easier to use would also translate to " greater participation and use". I guess not. Tonight is the 80 Meter QRP Fox hunt. Dave N0IT in Missouri is not feeling all that great, so he has swapped with John K4BAI. So the Foxes will be John in Georgia and Jim K9JWV in Utah. "Conventional wisdom" is telling me that from New Jersey on 80 Meters, I should be able to work John fairly easily and that Jim may be a stretch, if I hear him at all. But if you're like the rest of us mere mortal human beings, you don't have the real estate, money or insurance agent for one of these. 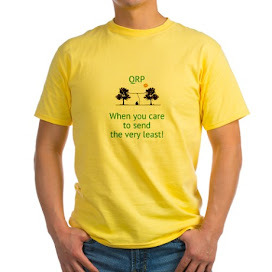 But you do want to get involved in QRP on the HF bands. What should you use? Again, my friends - that's the $64,000 dollar question; and there as many answers as there are Hams. 1) Can you even put up an outdoor antenna? 2) How much do you want to spend? 3) How much room do you have? 4) Do heights scare the living heck out of you? 6) What bands do you wish to operate on? 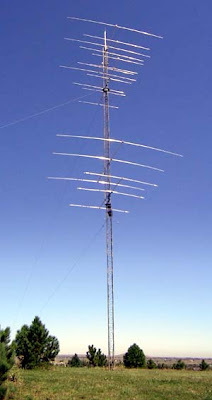 If you cannot put up an outdoor antenna, then you will have to end up with a real "compromise antenna". That may sound really crummy, but don't be discouraged! There are lots of folks out there who have earned Worked All States and DXCC using indoor or stealth antennas. Dipoles can be strung up in attics and be quite effective. Also, keep in mind that if your antenna is not going to be exposed to the elements, then you can lash up something quite often using lighter duty wire and components. Another antenna to investigate are the magnetic loop antennas. Use Google to invest yourself with the wealth of information on these babies. I have a friend AF2Q who lives in an apartment that is more like a Faraday Cage than anything else. He uses a magnetic loop from inside his apartment and works juicy DX all the time - even with 5 Watts. Other folks with antenna restrictions use the Buddipole and Buddistick for temporary installations and have great success. My friend Bob W3BBO just finished WAS for the umpteenth time - but this time using a Buddistick mounted to a mobile mount on his car - and he got HK0NA in his log before I got them in mine. So, there's a lot to be said for his set up, even though it's not considered to be "ideal". If you have access to the outdoors then your choices are greater; but they can still be dependent on the size of your lot. I would love to have a full sized 160 Meter loop antenna; but this postage sized New Jersey suburban lot just does not allow for it. In my case, I have two antennas - an 88' Extended Double Zepp (EDZ) wire antenna and a Butternut HF9V antenna. With these two, I can operate anywhere from 80 to 6 Meters with no problems. The 88' EDZ was homebrewed and the Butternut is a commercial antenna, of course. The EDZ fits nicely. I had a G5RV for 12 years and one leg had to be zigged and zagged to get it to fit within my property lines; but it worked well. The only reason I took it down was that it physically degraded between the harsh summer sun and the harsh New Jersey winters. If you're going to operate on just a few bands, individual resonant half wave dipoles might be your answer. If you want to operate on most, if not all the bands, then a non-resonant antenna like my EDZ and a tuner will allow you to do that. I can work all the bands on the Butternut, too. If space is at a super premium, keep in mind that a vertical will require ground radials. I have about 25 (25') radials currently attached to the Butternut and I want to add more. It works very well; but I want to add even more. If real estate is not a problem, the a 160 Meter full sized loop might be the way to go. Even if you're not going to operate on 160 Meters, you can operate on all bands if you use a tuner. And loop antennas tend to be quiet and sensitive. The point is, if you have a very spacious backyard with plenty of trees, then there's no reason to put up as much wire as you can, as high as you can. Individually tuned dipoles will eliminate the need for an antenna tuner, if that's something you wish to avoid. The great thing about wire antennas is that they are fairly cheap, if you go the homebrew route. Again, there is a wealth of information about them on the Internet. Utilize Google to investigate dipoles, doublets, loops, long wires (Zepp antennas), W3EDP, bazookas, etc, etc, etc. While Amateur Radio gear is becoming increasingly more complex and expensive, wire antennas still provide an area for low cost experimentation. If price is a MAJOR factor, please go to my links section and click on the link for the $4 "Special" antenna. I used one of these for years at my old East Brunswick QTH. It may not be pretty; and it may not be fancy; but it works and gets results. Ham friends would come over to my house and laugh at it, "How does THAT thing work? "- then they'd walk inside my shack and see a ton of QSL cards on the wall. Which would you rather look at - your antenna or a wall filled with QSL cards? I think you're thinking that you'd rather look at the cards and of using the wire to get the cards. Pretty antennas are nice; but antennas were never meant to be aesthetic works of art. If you're deathly afraid of heights, then you're either going to need some help getting wires up or you can use a ground mounted vertical - just keep in mind the radials deal. If you're all thumbs, or building and experimenting is not your thing, then you'll just have to resort to commercial antennas for all your needs. Hey, just about everything that you can possibly think of is offered commercially, it just depends on how much you're willing to spend. If you have really deep pockets, you can always invest in a tower and a beam and have them commercially installed and maintained, but then you're getting closer to the picture above. And if you have THAT much money, would you consider adopting me? So in the end, after answering the necessary questions, and doing a lot of Web surfing, you'll probably come up with a half dozen or so solutions that will work for you. Don't be afraid to experiment, modify or change. Keep thinking outside the box! Attached is a photo of KX3 #6. It's an outdoor shot with the backlight off. This unit is in Field Test here, which is its own type of milestone for all those waiting patiently. I'll be writing objective appraisals of this FT unit. That will be my intent, anyway (objectivity). This email is a first cut. Read on. My personal opinion is that this is the coolest amateur transceiver ever designed, built, or dreamed of. Perfect size, perfect weight, VERY respectable performance. You can *really* take the KX3 with you, and you’ll really want to. Mine’s going everywhere with me, including the workplace! I know my engineering staff will demand to see how Wayne and crew fit it all in, and how well the KX3 works. After one day using this unit, I've reached the conclusion that the KX3 is basically ready for initial production. As is usual for a 'young' rig from Elecraft, firmware is still a work in progress. This should be no surprise to anyone on this list. The hardware is at near-100% shape, IMHO. There are a few minor issues - mostly features not yet implemented. And I mean minor. If I weren't an engineering manager in the consumer products industry I would not have noticed any of them. The electronics seems solid, and I've done a bit of lab testing for MDS and selectivity. Most of my testing has been on the air though. My lab testing shows MDS better than -136 dBm, but my signal generator can't extend any lower. No problems with rejecting out of band signals (away from the roofing filter's coverage). On the air: I've had about fifteen CW QSOs, using between 1 and 12 Watts output power. The antenna is a homebrew multi-band vertical, ground mounted. Four of these Qs were on battery power. No differences were found between operating on external and internal power, except for the output power limitations due to batteries. One Q was with an extremely weak QRP station in New Mexico. The APF helped with this, to the point that I could not have pulled him out without the feature. With APF engaged, his signal was 539 with rapid fades to 319. He was running 0.5W and I was running 3 W. Great ragchew, with very few repeats. Except for Navy-Marine Corps MARS, I'm mostly a CW op. Several SSB contacts went successfully after a false start: I had to finagle the MH3's input connection a bit (a virgin socket seating issue). I set the MIC and CMP values by listening on a second receiver and built in MONitor, giving MIC=18 and CMP=10 as the best combination. Audio reports using the MH3 and this setting were excellent - "clear as a bell" and "good presence”. Output using the internal speaker is adequate, though not amazingly loud. Some of that is probably my 55 year old ears and too many rock concerts when I was younger. The frequency response seems relatively flat and lows are surprisingly well-represented. Distortion is low (< 2% THD the way I hear it). 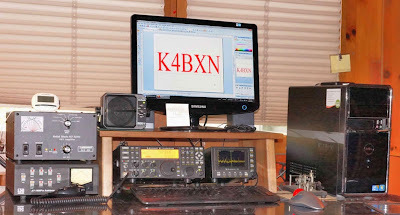 The FOC and NA contests run this weekend were an interesting environment for first-time ops on the KX3. Lots of strong signals, many in excess of S9+25. A majority of the QSOs mentioned above were near strong signals and with the roofing filter in place I had pretty good luck ignoring the big guns while working weak signals. I have to admit this is completely subjective, however years of experience with the K3 also tells me that the KX3 has similar characteristics in this regard. The best example from on-air testing was the NM CW station I mentioned above. His signal was marginal, meaning the APF was essential for pulling him out of the band noise. At the same time, 3 to 4 KHz up was one of those big guns thumping away. I could even hear key clicks from the contester, but only a tiny amount of blocking from his signal on the KX3. That's what I mean by "similar to the K3". It's not identical though. I found instances where a little bit of a strong station's signal was near- or in-band, and as you would expect some pretty severe blocking occurred. I'd recommend everyone make sure they have the roofing filter on the "essentials" list for purchase. In many ways the roofer makes the KX3 what it was meant to be. One thing that’s notable and exceptional: I haven’t seen any of the typical issues of a “zero IF” architecture. No image problems, no ripple in the passband (in either SSB or CW), no audio artifacts. The advantage to a zero IF architecture is that there’s no “donut hole” around the IF frequency; there are others too – one single conversion takes less space than multiple conversions, less power consumed, less heat generated. As a Navy-Marine Corps MARS operator, I’m looking forward to using the KX3 in our ECOM exercises. Its size and power consumption are perfect for such types of portable operation. It’s the item that will take the least amount of space in your Go Kit. Sorry so much of this is non-quantitative. I'll try to get more out after another day or two. Standard disclaimer: I am not employed by nor do I have a fiduciary interest in Elecraft. NMCM RMS Winmor: NNU9ET-5: Upland, CA. Not working - not working - not working !!!! Now this is REALLY Freeze Your Buns Off / Polar Bear Moonlight Madness !!! QRP'ers - are we dedicated or just plain crazy? Gatineau Park and the Wolf Trail sure look beautiful! Thanks Martin, for sharing, you have shown us the quintessential FYBO / PBMME effort. FYI, the HK0NA DXpedition ended today. Thanks to the crew and its supporters for their efforts. I got them exactly once and that's plenty for me. According to the Team, even after 190,000 +++ QSOs, the pileups were still very deep. Hope all of you were lucky enough to have worked them, if you were trying. FYBO was fun today. No big effort as there were way too many other things going on that vied for my attention. In between chores and duties, I was able to get out to the driveway, where I had the PFR3A on a battery in the back of my Jeep. The antenna was the Buddistick on the magmount on the top of the roof. Kudos to Bob W3BBO for suggesting this setup - it worked great! The car body acts as a much better counterpoise/ground plane than the single wire and using the magmount eliminates the need for mast and guying. So if you're not hiking - this is a great way to use a Buddistick. It ends up being much taller than a standard Hamstick (definitely not drivable), but the SWR was very nice and I was able to use the PFR3As internal tuner to even get that ironed out flat. Ham at work - excuse the mess! First QSO of the day was with Hank N8XX operating as "Amigo" with the WQ8RP callsign. In all, I made 11 contacts in between grocery shopping, baking some bread for my daughter's choir bake sale, etc, etc, etc. Here's a better look at the antenna. On 40 Meters, I undid the tap and extended the whip all the way. That gave me about a 1.4:1 SWR. 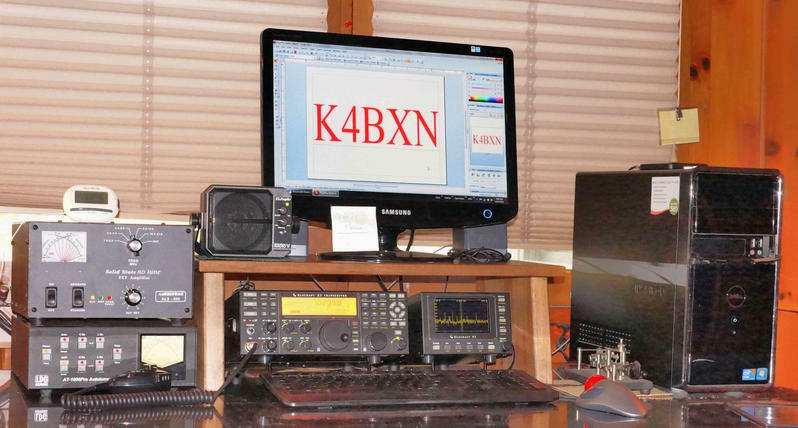 I only made one contact on 40 Meters and that was with Mark NK8Q in Pennsylvania. He was using only 1 Watt and almost blew the ear buds out of my ears. I don't think I have ever heard 1 Watt as a 599 Plus before today. The temperature was 45F when I started, so for simplicity sake, I used that throughout, even though I think it started dropping for my last couple of QSOs. I think the lowest temperature that was reported to me was 32F and the highest was 76F. Since it's Friday, it must be date night. 20, 30 and 40 Meters are spectacular! Not a bit of local neighborhood QRN - the local Plasma TV watchers must be out to dinner or a movie. The FOC is all over lower 40 Meters with their contest, so I switch over to 30 Meters and while quickly scanning, I hear a pileup. I have no idea who it is, but by listening carefully, I can tell that they are listening up 2 kHz. Abiding by the rule, "Work first, worry later", I nabbed them on my third try. 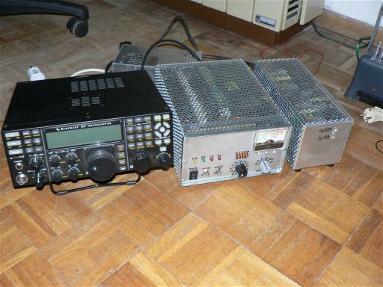 For SSB and CW, two K3s and a K2. Digimodes will be done through a Yaesu FT-840. The antenna on 30 Meters is a Spiderbeam. Not only did I snag a DXpedition, but I score another country for DDXCC! I really thought my MOCAD streak for 2012 was going to come to an end. Last night, I could not participate in the 40 Meter QRP-L Fox hunt due to rally bad local QRN. 80 Meters was like a desolate, deserted island. No QRN; but no signals either. Checking the Reverse Beacon Network, my CQs were being heard all up and down the Eastern Seaboard. There were just no takers. Fortunately, I was able to get on this morning between dropping off Joey and Cara at school and leaving for work. I heard Eduardo CO8LY on 17 meters calling "CQ DX" and gave him a call. I got an answer, so Eduardo in the log (for the umpteenth time, probably) and the streak lives another day. Tomorrow is FYBO. I hope to get on for an hour or two in the afternoon. The forecast is for partly cloudy skies and a high in the low to mid 40s. I will be using the PFR3A and the Buddistick on the magmount on top of the Jeep. Not a true mobile set up as there's NO WAY that I would drive around with that antenna on my car. First underpass I tried to navigate would be a disaster! I will be restricted to 20 and 40 Meters as that's what the PFR3A has. If 15 Meters is way open and all the action is there, it looks like I will be SOL. But if that's the case, then them's the breaks. The other thing I want to do this weekend, if I get the time, is to play around with a new acquisition. Through my good friend Bob W3BBO, I was able to get my mitts on a "pre-owned" MFJ-1026 unit. I would like to hook that up see if it helps give the knock out punch to this local QRN. I will have to utilize the K2's two antenna connectors now as one for transmitting and the other for listening. According to the 1026 unit's instructions, you really shouldn't use it with a rig that has a built in autotuner. But, if I use "A" to listen with and "B" to transmit with, I should be OK. Just have to be careful and pay attention to what I am doing. Good luck to all the QRPers who will be participating in FYBO. Hope to hear and work you tomorrow.